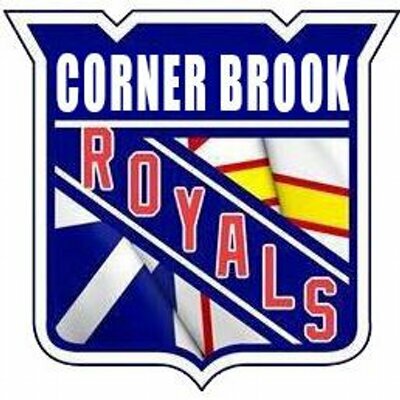 The Corner Brook Royals completed their sweep of the Gander Flyers this past weekend in Central West Newfoundland Senior Hockey action. After a scoreless first period, Hynes from the Royals started the scoring to put the Royals up 1-0. Scoring continued for the Royals who went up 2-0 after Matthew Thomey scored to make it 2-0. The Corner Brook squad stretched their lead to 3-0 when Matt Bragg scored to make it 3-0. The Flyers Morrison scored to make it 4-1 after 2 periods of play. In the third period, Hunter Tremblay scored on the power play to make the score 5-1. The Flyers got one back a few minutes later When Wilkins scored to make the final score 5-2. Royals netminder Bryan Gillis picked up his second win of the weekend.